After logging in our intuitive company dashboard will provide you with a quick glance into potential revenue and accounts receivables. The company dashboard displays a listing of quotes ordered by the follow up date. With a quick glance you can see who you need to contact, the value of the quote sent to them and an instant link to all of the details of the quote. 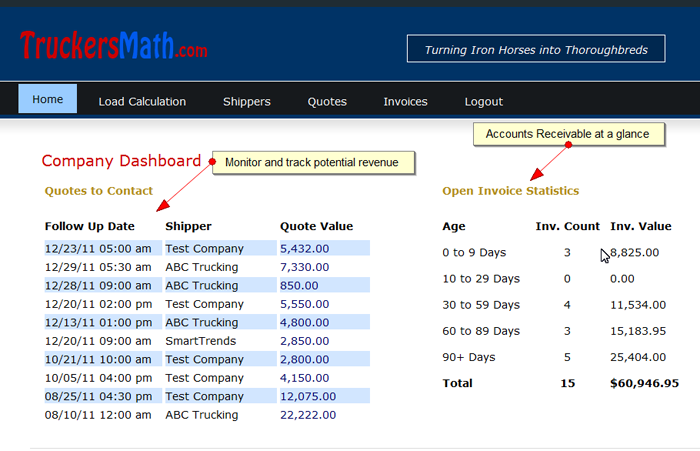 The open invoices column displays a summary of your accounts receivables. 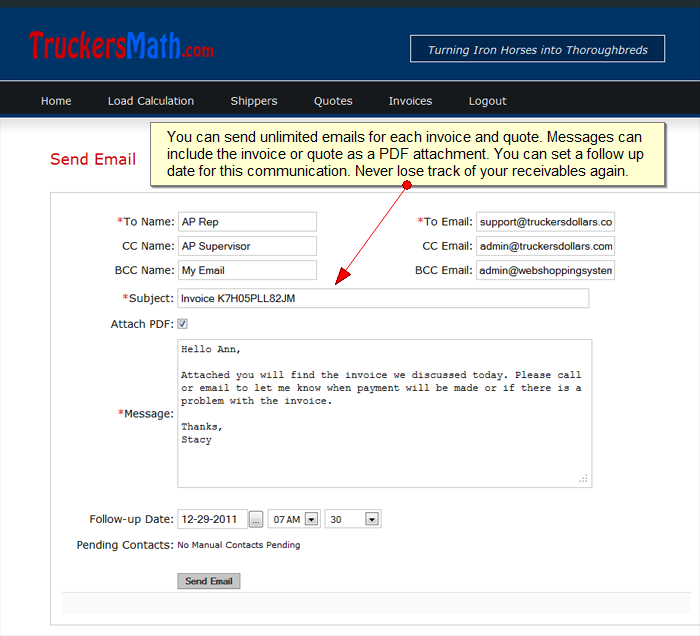 With one click on the Invoices tab you will be able to view a full listing of the accounts receivables.